The Feast was well attended for a weekday with many communicants, both children and adults. 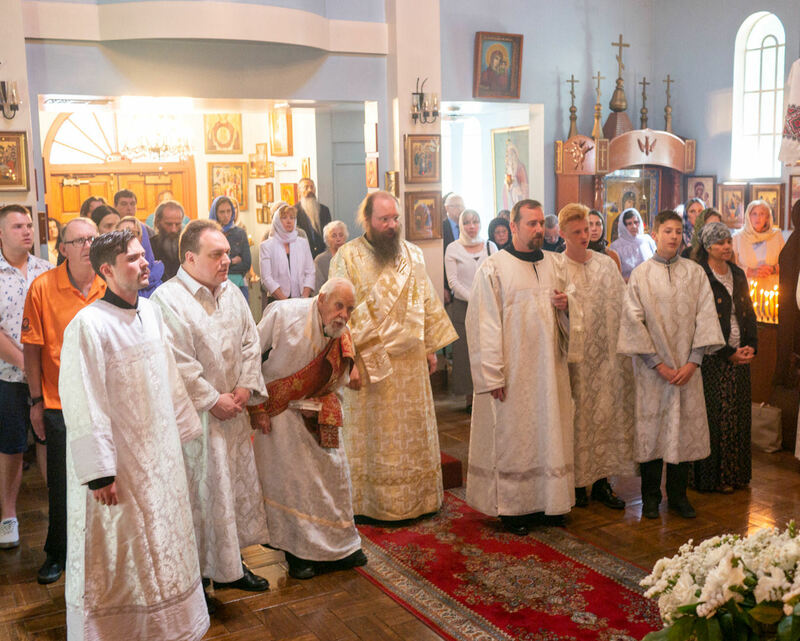 Guests came from both St. Herman of Alaska Monastery and Blessed Xenia Skete. 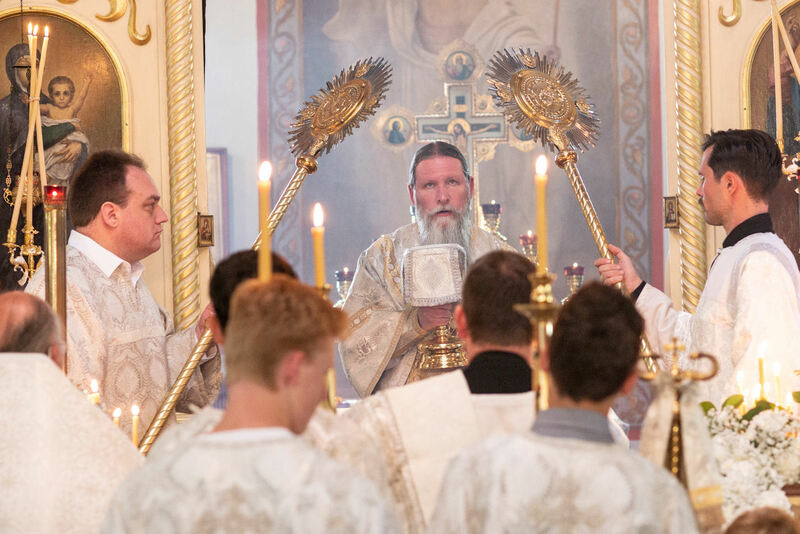 After the Divine Liturgy Archbishop Kyrill led the cross procession around the church. 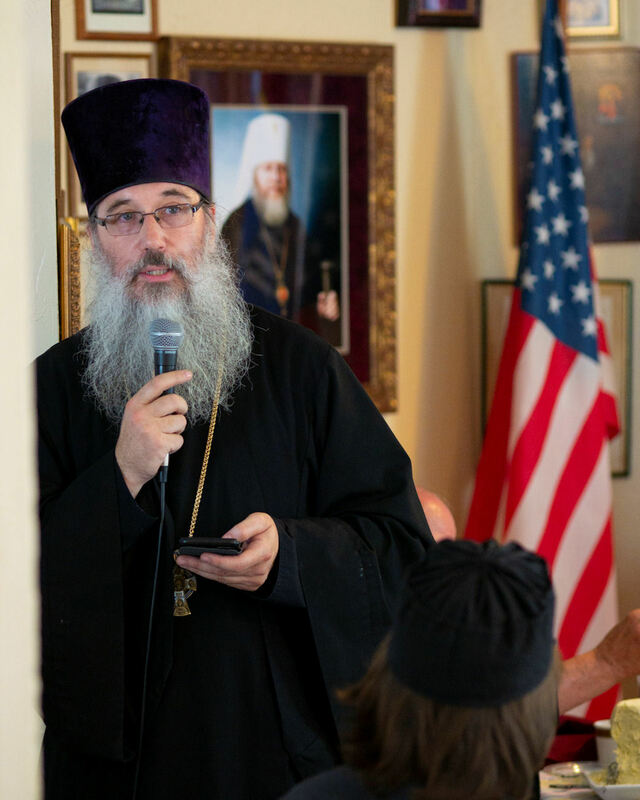 Many local clergy from other Orthodox jurisdictions joined at the festal meal. Father Rector greeted all with the Feast Day of the parish. 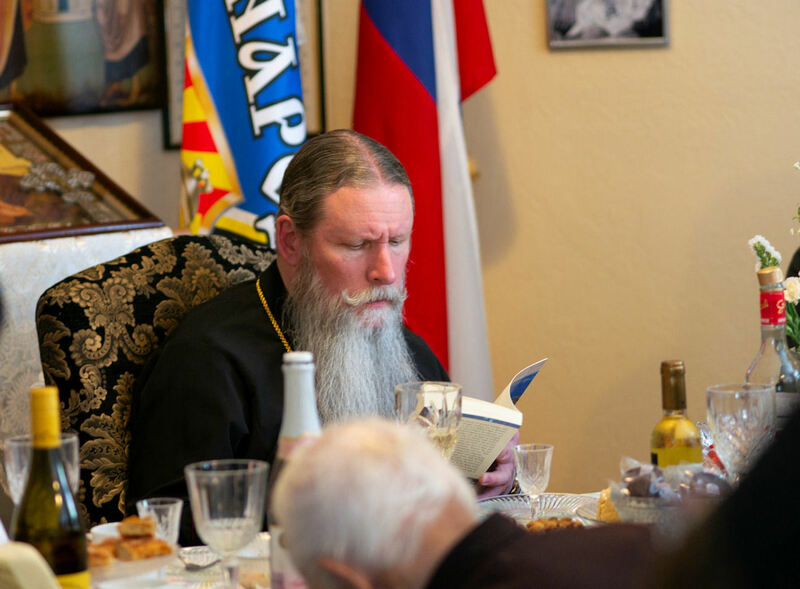 The latest book published by the St. Herman Press “Cancer, my love” was presented to Vladyka Kyrill, brought as a gift by the St. Herman of Alaska Brotherhood. 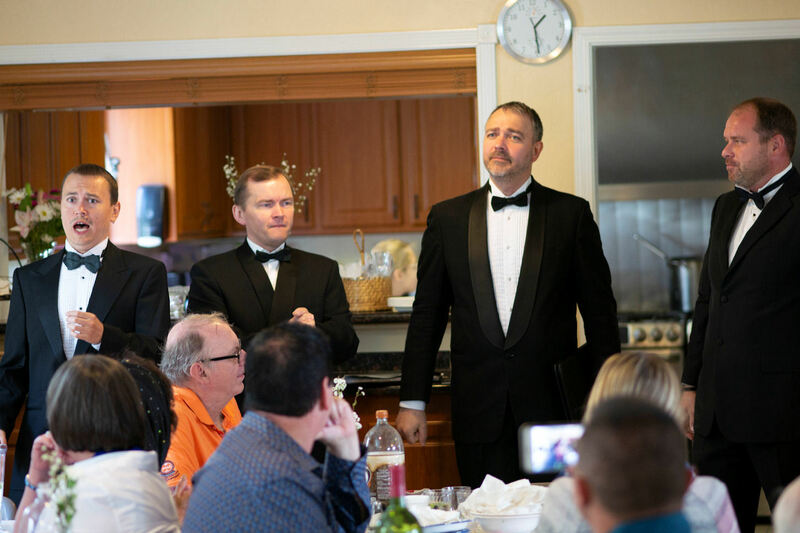 The festal meal concluded with a concert performed by the Saint Petetrsburg Ensemble.